In the picture above is a pawn chess piece which sized in 12 inch. It has polished in black with glossy touch, but we provide the brown pawn also. If you want to have a set of chess pieces, we have it in various sizes. 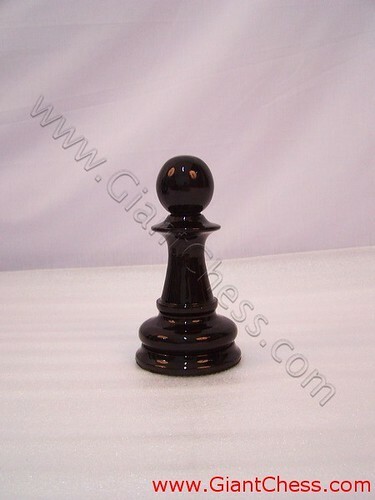 You can get it from 8 inch, 12 inch up to 72 inch tall chess piece. Beside use as chess game equipment, some people use it as gift and souvenir for family and friends. By its unique and beautiful art, many people in western countries pursue our products because it is made from best quality of Teak wood, so that it could be used in any seasons. Besides, our products are carved by expert craftsman and polished well in order to make it durable for indoor and outdoor use.